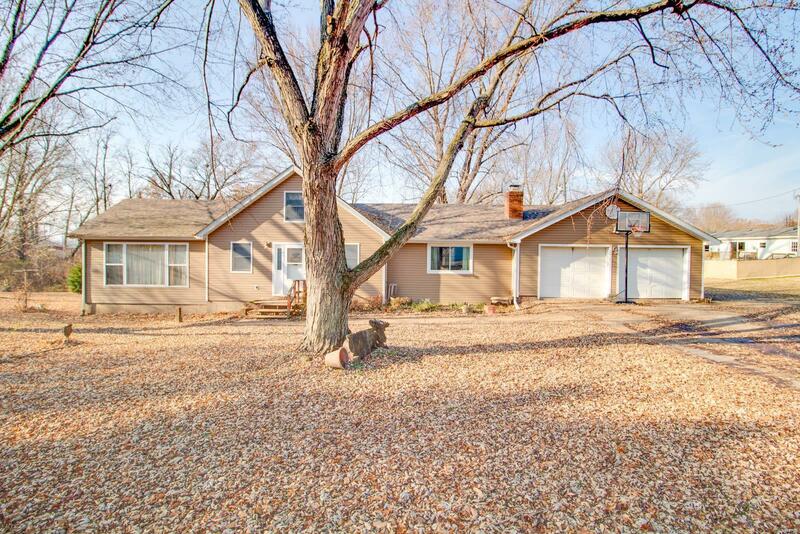 1 1/2 Story home in Lake Piasa sits on 9 lots right on the lake. Walk out back and go fishing! 2 to 3 BD, 2 BA, nice loft, 13 year old sun room, 2 fireplaces, lots of storage. Large lot offers plenty of room to grow. The Hardy Wood furnace heats that home which is outside. New siding, roof, and some gutters in 2013. 2 car over-sized garage. Above ground pool.